Want to connect with your customers in a memorable way? Holiday postcards allow you deliver a hand-held hello directly to their mailboxes. The key is to make sure each mailpiece you send meets the USPS guidelines. Guidelines for mailpieces sent through the US Postal Service (USPS) can be confusing. This is made even more so by the instances when mailers are delivered that don’t seem to adhere to the rules. Use the following three tips to make sure your business is compliant, and your mail is delivered. Do you remember when you were a kid and getting something — anything — in the mail made you giddy? You can recreate that same feeling for your customers during the holiday season by sending a fun and engaging postcard. USPS offers a Mail Design Assistant (MDA), who can help you verify if your mailpiece will be deliverable or not. We recommend always having your mailpiece approved prior to printing. Printing a piece that can’t be mailed can end up costing your business a substantial amount. In the old days, all mail was sorted by hand. Now, USPS uses an Optical Character Recognition (OCR) machine to read addresses and corresponding barcodes. These machines read mailpieces from the bottom right, moving up in a diagonal fashion to the left. The OCR scanner has become pretty efficient at recognizing handwritten and printed labels, but it still easier to scan a barcoded address. Your printer will more than likely have a mailing department or recommend a mailing house. The mailing house can accept your list, address your mailer, and pre-barcode your piece with postage. The USPS will barcode your mailer if the barcode is not already there. Having your postcards pre-barcoded gives you more control over the placement of the address and how much content may be placed on the mailing side of your postcard. If you have less than 100 to send out, we’d recommend just getting a few boxes of nice cards with envelopes and giving each one a personal note. It will take an afternoon, but you’ll save the cost of production and make your addressees feel quite appreciated. 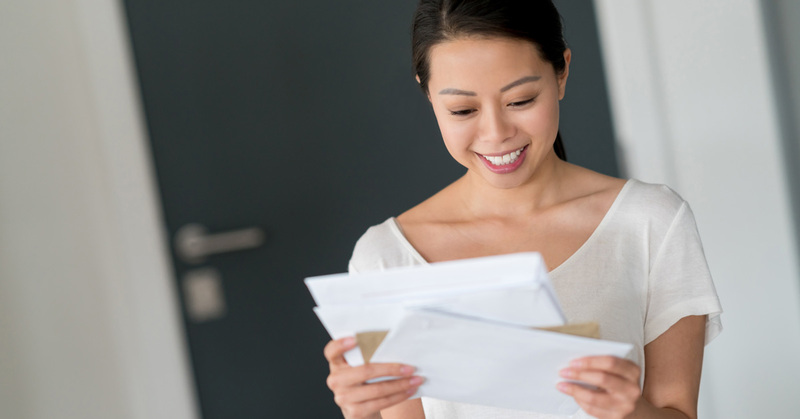 Plus, with a standard announcement envelope, you won’t really need to worry about mail standards. Just address in the lower center with postage in the top right and your return address in the top left. Following the recommended layout is particularly important if your mailpieces aren’t barcoded before they reach USPS. 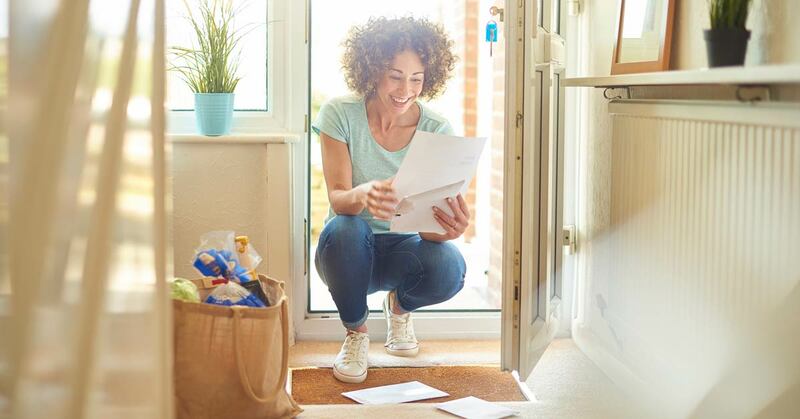 The space for your address should be 3.5-inches wide and 1.75-inches tall. It should be placed ½-inch from the right and ⅝ of an inch from the bottom. The bottom ⅝ of an inch section should be white or a light color. (This light color should extend at least 4-inches to the right.) This light section is important because USPS prints barcodes black, meaning it won’t be readable if your mailpiece is dark in this section. We’re drowning in social media and TV ads. Everywhere we look, things are getting louder and splashier. An ‘old school’ postcard brings harkens back to a time when business deals were established on a handshake. Sending one helps you stand out from the crowd, giving your business a competitive edge. Holiday greeting cards can get expensive. Designing and printing alone can cost a decent amount. Add in the postage, and it adds up! Smaller in size, postcards cost less to create and produce, making them an affordable choice. Feel like marketing is just too expensive? It doesn't have to be. 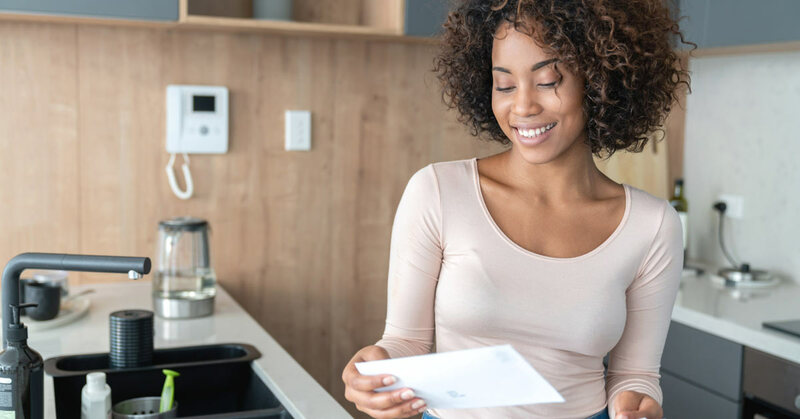 A postcard offers an affordable way to connect with your customers. Out of sight, out of mind is a real conundrum for businesses. Even if a customer enjoyed your product or service, there are a lot of things vying for their attention. Sending a postcard gives them a physical reminder of your business. No one likes bills. Few folks love coupons. Hardly anyone looks forward to massive advertising pamphlets. But, everyone enjoys getting a thoughtful postcard or letter. So, don’t join the other junk mail that will end up in the trash without a second thought. Create fun mailer that will grab your customer’s attention. This could be the use of an inspiring quote. It could be a beautiful picture or a funny meme. They key is to make it something that will cause the recipient to pause, even if only for a moment. How does it make you fell to be recognized? While you might not be seeking out an attaboy, when someone acknowledges your positive contribution to their life, it's hard not to feel appreciated. The same is true of your customers. Let them know just how much they mean to your business. In addition to something fun, holiday postcards can be a great way to make your customers feel appreciated. This often means segmenting your list to create a more customized message based on the recipient. For instance, you may recognize customers who have been with you for five years or more by offering them a special discount or inviting them to a special recognition party. From designing postcards to creating holiday-inspired content marketing campaigns, our creative team can help you make this year your most successful yet. It’s not new news. Video rules the land of Facebook. With its moving graphics and substantially lower cost-per-engagement, video outperforms all other types of Facebook posts. But what in the world should your business make videos about? Learn how! Need a quick brush up on content marketing and how to get the most out of your investment? We’ve rounded up 5 of our favorite posts, scaled them down to bite size pieces and added a quick takeaway to each. Enjoy! What really goes into good SEO copywriting? As it turns out, a lot. And it all begins with defining your goals and performing extensive research.